Back in 1995, when I went to see a movie called Disclosure, the story line about sexual harassment in corporate America was OK, but what really fascinated us was this thing called virtual reality. In the movie, the virtual world was used to store confidential information in a system of files and folders within the computers. Who wouldn’t be riveted by a seemingly real virtual world created by computers. Today, the Oculus rift is creating a similar spark in my imagination. Most people viewing this as a gaming tool, but I think it is going to revolutionize communication in a big way. I often tell stories to my daughter about how I grew up and what I did not have, so she will understand what she has and how privileged she is. I tell her about the village that my dad took my sister and I to for a month during summer vacation so that we could experience village life and understand different echelons of society. We would go and live with our grandpa and our aunt’s family—and we’d walk two kilometers at 6:45AM to wash and play in the river and use the neem tree sticks we had plucked from the trees to brush our teeth. I describe working in the fields, gathering groundnuts, weeding, and doing other farm work. I tell her about biking to the store to buy a bag of rice or sugar, or perhaps a can of kerosene. Even as I talk, I know that a picture is worth a thousand words. I challenge her to some day go and spend a month in that same village. Even better, I wish that I could immerse her in that world right from home with virtual reality. 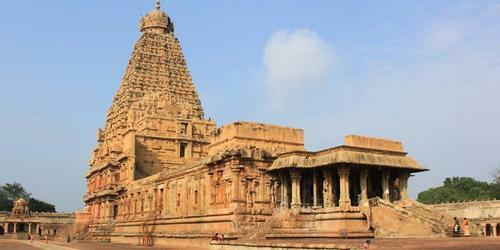 Even better, imagine visiting Taj Mahal or the Bragatheeshwarar temple in Tanjore, South India without booking a flight or managing travel hassles. Imagine sitting in your own home and experience walking through the place with a knowledgeable guide offering detailed information, stories, and history of the place through the Oculus rift. Virtual reality can let us see places in a close fashion without leaving home. That is both cool and convenient! Think, too, of the times that most of us have given someone a virtual tour of a new home or office, or potential rental space, using a laptop or smart phone. Imagine doing that with the Oculus Rift to create a world that blends virtual and real to have a touch and feel experience. Not all of the potential use cases are consumer/personal though. Today, many organizations, especially those in the electronics industry, are global. They are located in the United States, perhaps, and hire consultants and work with suppliers all over the world. Spanning continents can create a communication gap where things fall through the cracks and are missed. It’s never really like being in the same room. Imagine enhancing video conferencing technology and turning the walls of the conference room or office into large screen TVs. The system might automatically mirror an office in India, for example, so that it seems as if the consultant 10,000 miles away is sitting in the next cubicle. Then, we can interact as if I were sitting right next to him—and I can glance over and see him. I know when he is in the office and when he has left for the day. Take it a step further—and think about how a headset like the Oculus Rift would simplify creating that kind of interaction. Of course, that would demand higher bandwidth and lots of processing power to create the high-definition real world experience I’m imagining. Users are much more engaged because it is as if they are right next to you. The torture of the conference call could be eradicated. The ability to touch and feel the things in the virtual real world. The potential to have virtual parties, to build camaraderie and engagement among remote teams spread through multiple geographies. I also think, in the future, the websites will support this type of technology to create better consumer experiences for their customers. 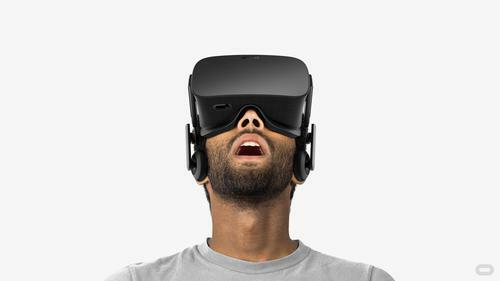 Perhaps we could wear the Oculus Rift and virtually test drive a new car, try on clothes or test out electronic gadgets. How do you think this technology may be used to solve problems in the supply chain space? We would love to hear your thoughts.